Sotogawa-cho, Choshi, Chiba Prefecture, Japan. Chiba University. Holdfast. Hideki Haga. © Hideki Haga (902180827@office.chiba-u.jp). Sotogawa-cho, Choshi, Chiba Prefecture, Japan. Chiba University. Beneath the forest. Hideki Haga. © Hideki Haga (902180827@office.chiba-u.jp). Kominato, Chiba Prefecture, Japan. Yukihiko Serisawa. © Yukihiko Serisawa (serisawa@scc.u-tokai.ac.jp). Kominato, Chiba Prefecture, Japan; subtidal forests. Yukihiko Serisawa. © Yukihiko Serisawa (serisawa@scc.u-tokai.ac.jp). Published in: Kjellman, F.R. & Petersen, J.V. (1885). Om Japans Laminariaceer. Vega-expeditionens Vetenskapliga Iakttagelser, Stokholm 4: 255-280, 1 table. 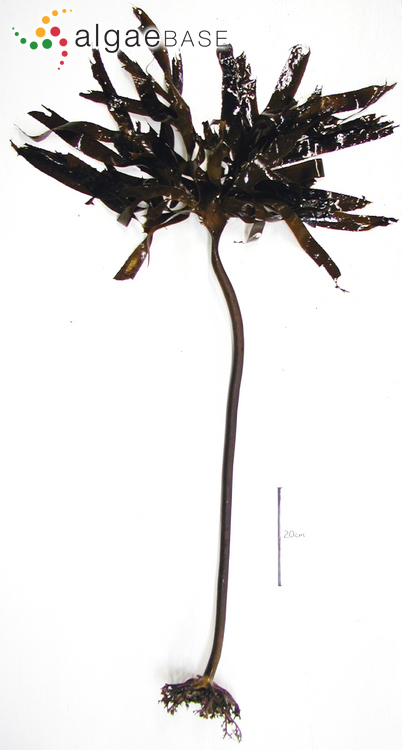 The type species (holotype) of the genus Ecklonia is Ecklonia buccinalis (Linnaeus) Hornemann. Japanese: Kajime (Arasaki & Arasaki 1983). Type locality: Japan: near Yokohama (Silva 1996-to date). Accesses: This record has been accessed by users 13604 times since it was created. Ahn, J.S., Woo, S., Kim, J.H., Oh, Y.S., Oak, J.H. & Yum, S. (2004). Optimization of RNA purification method from Ecklonia cava Kjellman (Laminariales, Phaeophyceae). Algae 19(2): 123-127, 5 figs, 1 table. Altamirano, M., Murakami, A. & Kawai, H. (2003). Photosynthetic performance and pigment content of different developmental stages of Ecklonia cava (Laminariales, Phaeophyceae). Botanica Marina 46: 9-16. Altamirano, M., Murakami, A. & Kawai, H. (2004). High-light stress in different life-history stages of Ecklonia cava (Laminariales, Phaeophyceae). Aquatic Botany 79: 125-135. Aruga, Y., Toyoshima, M. & Yokohama, Y. (1990). Comparative photosynthetic studies of Ecklonia cava (Laminariales, Phaeophyta) bladelets with and without zoosporangial sori. Hydrobiologia 204/205: 473-477. Aruga, Y., Toyoshima, M. & Yokohama, Y. (1990). Comparative photosynthetic studies of Ecklonia cava bladlets with and without zoosporangial sori. Japanese Journal of Phycology 38: 223-228. Aruga, Y., Toyoshima, M. & Yokohama, Y. (1990). Comparative photosynthesis studies of Ecklonia cava (Laminariales, Phaeophyta) bladelets with and without zoosporangial sori. Proceedings of the International Seaweed Symposium 13: 473-477. Choi, D.M., Ko, Y.W., Kang, R.-S. & Kim, J.H. (2015). Morphological and genetic variability among Ecklonia cava (Laminariales, Phaeophyceae) populations in Korea. Algae. An International Journal of Algal Research 30(2): 89-101. Hayashida, F. (1984). 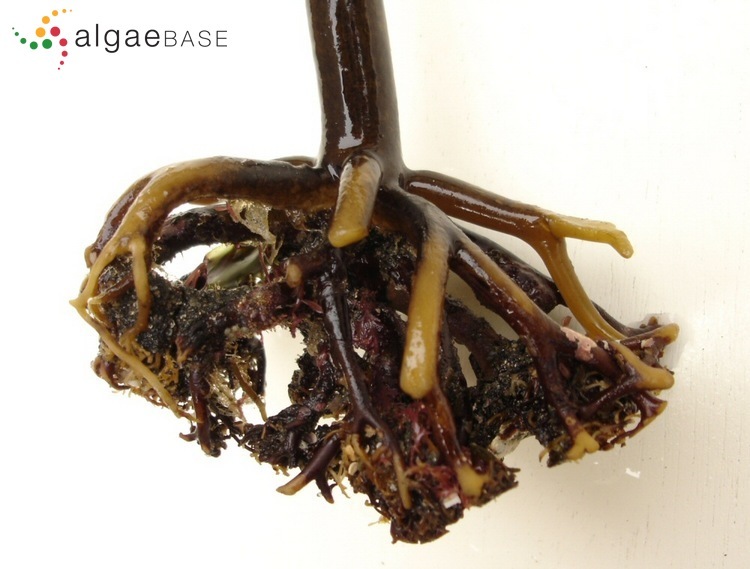 Potential production of the aquatic forest-forming brown algal, Ecklonia cava Kjellman, calculated from individual year classes. Proceedings of the International Seaweed Symposium 11: 429-432. Heo, S.-J., Jeon, Y.-J., Kim, H.T. & Lee, K.-W. (2003). Antioxidant effect of enzymatic hydrolyzate from a kelp, Ecklonia cava. Algae 18(4): 341-347, 7 figs, 1 table. Honda, M. (1999). A theoretical analysis and field evaluation of a light and temperature model of production of Ecklonia cava. 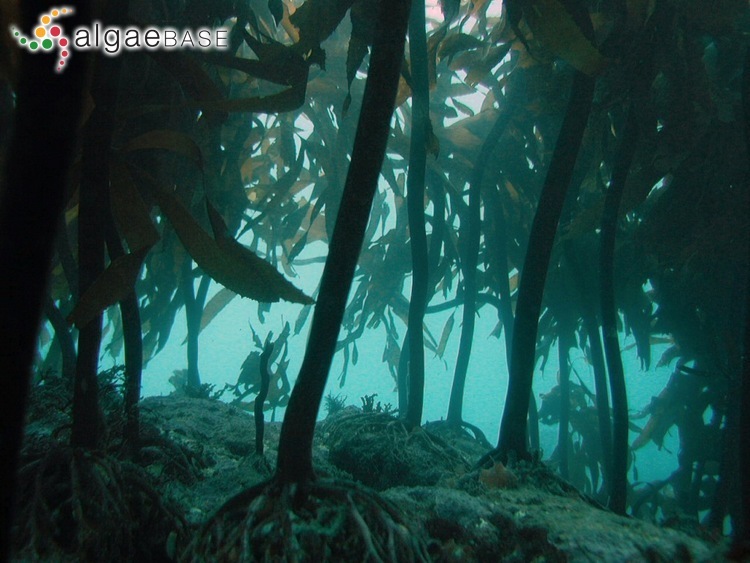 Proceedings of the International Seaweed Symposium 16: 361-374. Iwao, T., Kurashima, A. & Maegawa, M. (2008). Effect of seasonal changes in the photosynthates mannitol and laminaran on maturation of Ecklonia cava (Phaeophyceae, Laminariales) in Nishiki Bay, central Japan. Phycological Research 56(1): 1-6. Kawashima, Y. & Tokuda, H. (1990). Callus formation in Ecklonia cava Kjellman (Laminariales, Phaeophyta). Hydrobiologia 204/205: 375-380. Kawashima, Y. & Tokuda, H. (1990). Callus formation in Ecklonia cava Kjellman (Laminariales, Phaeophyta). Proceedings of the International Seaweed Symposium 13: 375-380. Kim, S.-Y., Kim, E.-A., Kang, M.-C., Lee, J.-H., Yang, H.W., Lee, J.-S., Lim, T.I. & Jeon, Y.-J. (2014). 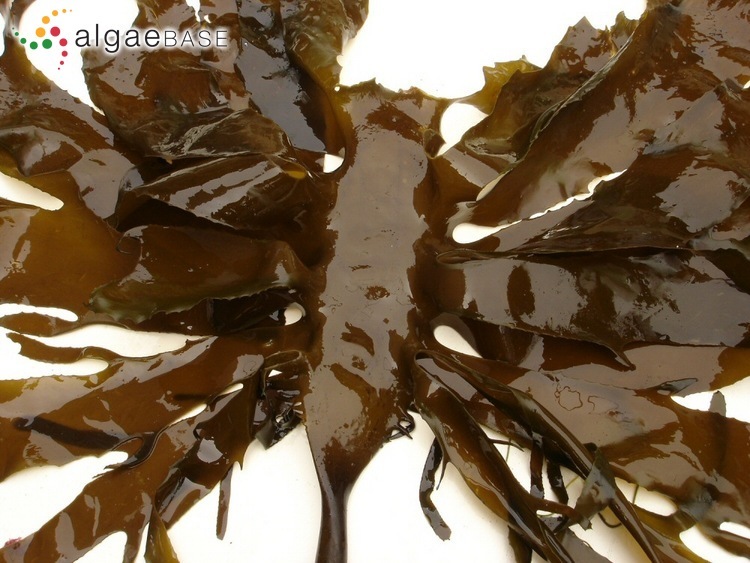 Polyphenol-rich fraction from Ecklonia cava (a brown alga) processing by-product reduces LPS-induced inflammation in vitro and in vivoAlgae. An International Journal of Algal Research 29(2): 165-174. Lee, J.-H., Ko, J-Y., Oh, J.Y., Kim, E.-A., Kim, C.-Y. & Jeon, Y.-J. (2015). Evaluation of phlorofucofuroeckol-A isolated from Ecklonia cava (Phaeophyta) on anti-lipid peroxidation in vitro and in vivo. Algae. An International Journal of Algal Research 30(4): 313-323. Lee, S.-H., Kang, S.-M., Sok, C.H., Hong, J.T., Oh, J.-Y. & Jeon, Y.-J. (2015). Cellular activities and docking studies of eckol isolated from Ecklonia cava (Laminariales, Phaeophyceae) as potential tyrosinase inhibitor. Algae. An International Journal of Algal Research 30(2): 163-170. Maegawa, M. & Kida, W. (1987). Studies on the production structure of Eisenia bicyclis and Ecklonia cava communities. Japanese Journal of Phycology 35: 34-40. Maegawa, M., Kida, W. & Aruga, Y. (1988). 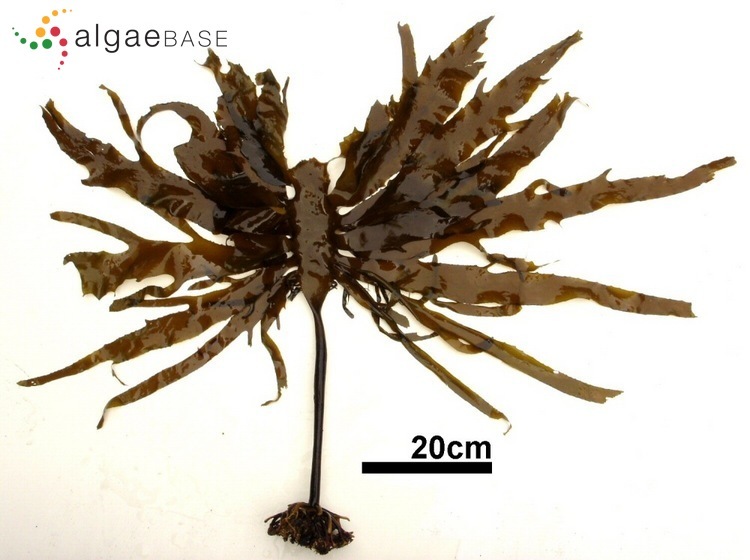 A demographic study of the sublittoral brown alga Ecklonia cava Kjellman in coastal water of Shima Peninsula, Japan. Japanese Journal of Phycology 36: 321-327. Maegawa, M., Kida, W., Yokohama, Y. & Aruga, Y. (1988). Comparative studies on critical light conditions for young Eisenia bicyclis and Ecklonia cava. Japanese Journal of Phycology 36: 166-174. Maegawa, M., Yokohama, Y. & Aruga, Y. (1987). Critical light conditions for young Ecklonia cava and Eisenia bicyclis with reference to photosynthesis. Proceedings of the International Seaweed Symposium 12: 447-455. Notoya, M. & Aruga, Y. (1989). Tissue culture from the explant of Ecklonia cava Kjellman (Laminariales; Phaeophyta). Japanese Journal of Phycology 37: 302-304. Oyamada, K., Tsukidate, M., Watanabe, K., Takahashi, T., Isoo, T. & Terawaki, T. (2009). A field test of porous carbonated blocks used as artificial reef in seaweed beds of Ecklonia cava. Proceedings of the International Seaweed Symposium 19: 413-418, 5 figs, 1 table. Sakanishi, Y., Yokohama, Y. & Aruga, Y. (1988). 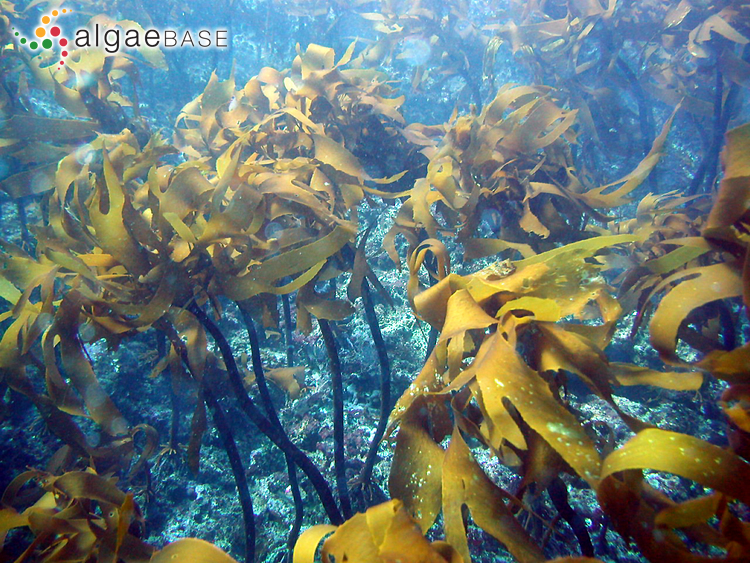 Photosyntheis measurement of blade segments of brown algae Ecklonia cava Kjellman and Eisenia bicyclis Setchell. Japanese Journal of Phycology 36: 24-28. Serisawa, Y, Imoto, Z., Ishikawa, T. & Ohno, M. (2004). Decline of Ecklonia cava population associated with increased seawater temperatures in Tosa Bay, southern Japan. Fisheries Science 70: 189-191. Serisawa, Y., Akino, H., Matsuyama, K, Ohno, M., Tanaka, J. & Yokahama, Y. (2002). Morphometric study of Ecklonia cava (Laminariales, Phaeophyta) sporophytes in two localities with different temperature conditions. Phycological Research 50(3): 193-199. Serisawa, Y., Aoki, M., Hirata, T., Bellgrove, A., Kurashima, A., Tsuchiya, Y., Sato, T, Ueda, H. & Yokahama, Y. (2003). Growth and survival rates of large-type sporophytes of Ecklonia cava transplanted to a growth environment with small-type sporophytes. Journal of Applied Phycology 15: 311-318. Serisawa, Y., Yokahama, Y., Aruga, Y. & Tanaka, J. (2001). Photosynthesis and respiration in bladelets of Ecklonia cava Kjellman (Laminariales, Phaeophyta) in two localities with different temperature conditions. Phycological Research 49: 1-11. Serisawa, Y., Yokahama, Y., Aruga, Y. & Tanaka, J. (2002). Growth of Ecklonia cava (Laminariales, Phaeophyta) sporophytes transplanted to a locality with different temperature conditions. Phycological Research 50(3): 201-208. Serisawa, Y., Yokohama, Y., Aruga, Y. & Tanaka, J. (2004). Dark respiration of the stipe of Ecklonia cava (Laminariales, Phaeophyta) in relation to temperature. Phycological Research 52(2): 174-179. Yokohama, Y., Tanaka, J. & Chihara, M. (1987). Productivity of the Ecklonia cava community in a Bay of Izu peninsula on the Pacific coast of Japan. Botanical Magazine, Tokyo 100(2): 129-141.